Hello. I saw your listing on Moveandstay for A Plus Business Centre - Rykadan Capital Tower: from 25 April 2019 to 25 May 2019 I like to learn more. A Plus Business Centre will always be your No. 1 choice of operation support partner as we provide one-stop service to meet all your day-to-day business needs. We understand the operation burden to invest and manage various operation support facilities for a company. At A+, we provide everything you need to start with and our team is at all times ready to support you. We offer a wide range of business unit sizes, from one person up to all you need. 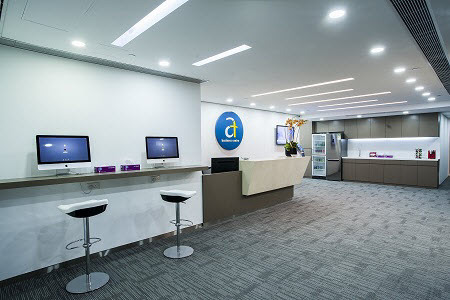 A+ is situated at a prime location with 180-degree Victoria Harbour view in Kwun Tong, a new CBD recently developed by the HKSAR Government. With improved infrastructure and transportation support, more and more companies and government services are moving into this area, thus enhances the convenience to your business.